Obviously, he didn’t talk about the rest of the world. But most of all, what Steve didn’t tell us, is how crappy the existing “integration” solutions actually are! This is one of those examples where a picture is worth a thousand words! 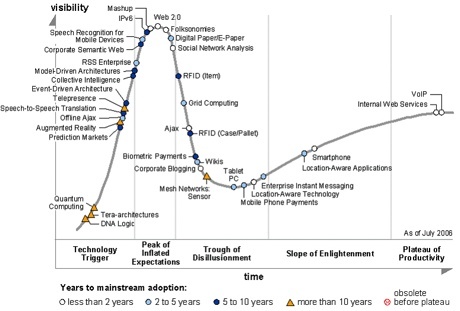 Got that from Cedric Giorgi who also points to this PDF from Gartner explaining what the hype cycle is about. 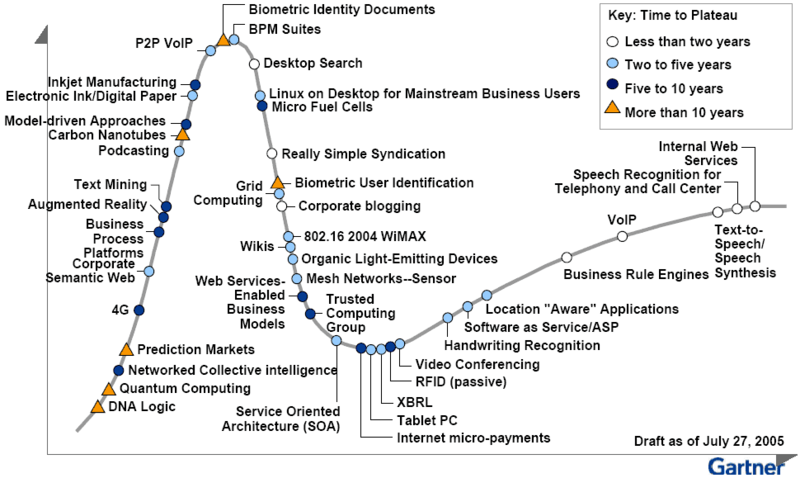 Now, the interesting part is comparing the 2006 hype cycle with 2005 hype cycle. Where the hell did Podcasting go this year? Massive adoption already? You could say that for RSS, but not for podcast. 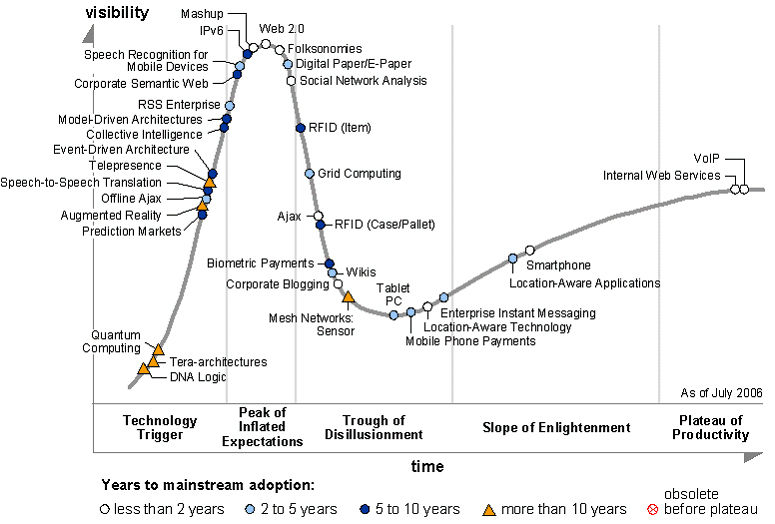 Has it fallen so deep into the out of sight lows that even Gartner did not see it this year? 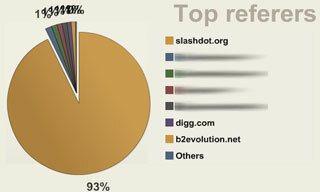 Why did the "semantic web" become the "corporate semantic web"? What happened to the internet micro payments? Gone forever? Well, I guess the answers may well be in the full report, which you gotta pay big bucks for. "Lists and types of bite sized content that offer immediate reward to an attention and time scare audience typically spread further than content which requires more attention. 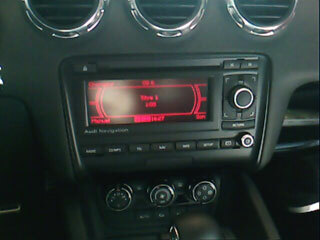 The attention deficit most of us live with is going to constrain the types of ideas that are profitable."